14k white gold clasp. 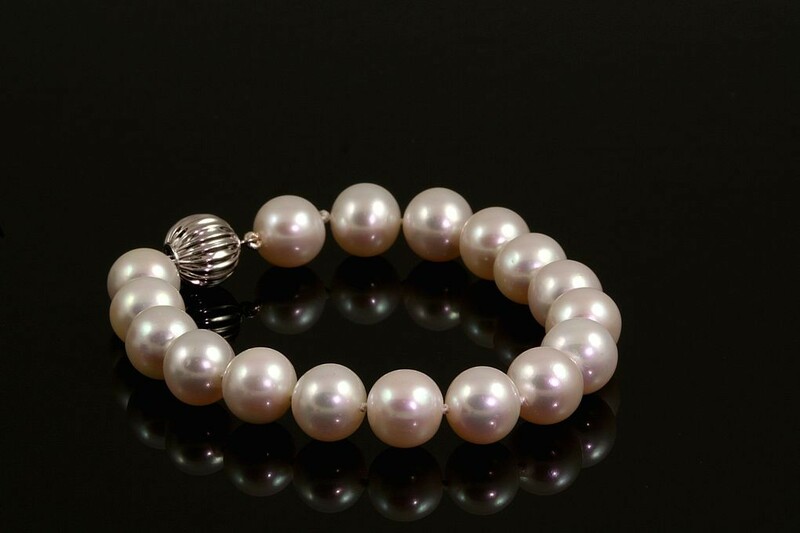 9.5-9.8mm freshwater cultured pearl strand bracelet. 7.25" long.